We’ve added a Very Hard Difficulty for the Queen Ant’s Cave clan dungeon along with some new costumes. The Class Transfer rewards have been reworked as well. We’ve added a new Difficulty to the Queen Ant’s Cave clan dungeon. Challenge the new Difficulty along with your clan members! 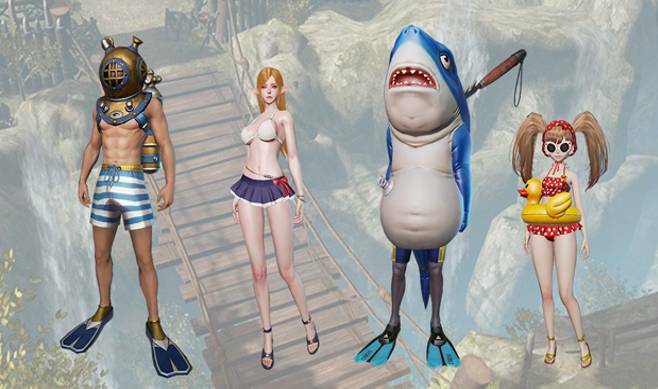 A new [Swim Suit] Costume has been added. Some of the Class Transfer rewards have been revamped. *The changed rewards have been marked in red. -Certain icons and pop-ups will be fixed. New events will begin with the patch. Hey Buddy!, I found this information for you: "[EU/NA] Patch Details (7/25)". Here is the website link: http://l2revolutionworld.com/eu-na-patch-details-7-25/. Thank you.